Нeart Patrol in Minsk - ООО "Актив Лайф Технолоджи"
February 16, Minsk. 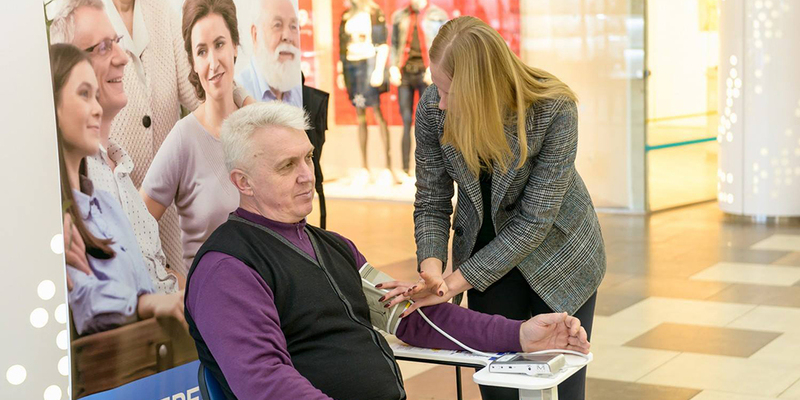 our company organized a noticeable project – called Heart Patrol – which was held at 12 most popular places of the city. 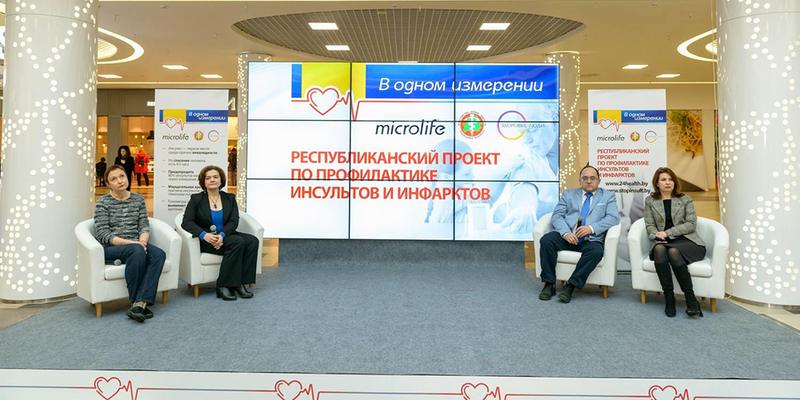 The ‘mob’ press-conference Heart Patrol was held at the shopping mall Dana Mall where people could communicate with the best Belarusian experts: Olga Pavlova – Candidate of Medicine, chair of arterial hypertension laboratory under the Republican R&D Center Cardiology, Serghey Marchencko – the head of the neurology dpt. under Minsk city clinical hospital for emergency medical services, Olga Jesmanchik – physician-in-chief, Minsk hospital №39. All the guest could have consulted doctors, learn about blood-stroke causes, prevention and diagnostic measures as well as were provided with a doctor’s advice and personal recommendations. Visitors were offered to measure the blood pressure, using a Microlife blood pressure monitor with the AFIB technology. This blood pressure monitor can detect atrial fibrillation. We also aim to draw public’s attention to blood-stroke, as over the past years, the demographics of the disease have been becoming younger due to pace of living, stressful conditions, knackering loads and unbalanced diet. The evens are held within the project One Measurement. We have been organizing open meetings with the leading experts since January. We are planning to hold ‘mob’ press-conferences in Vitebsk, Brest, Gomel, Mogilev, later in the regional centers, in February and March.